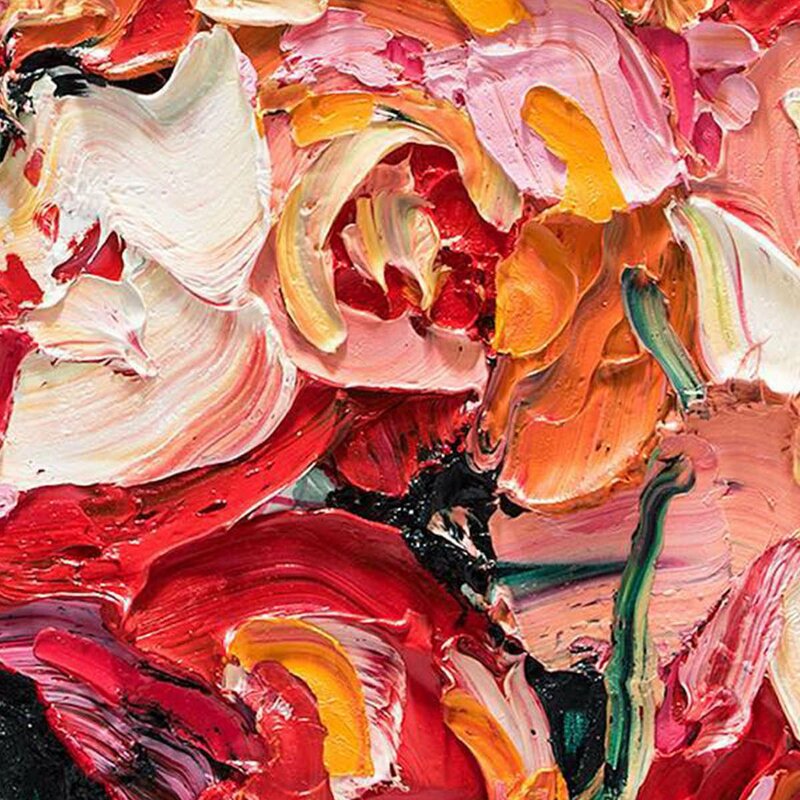 Australian artist, Alesandro Ljubicic. Through the partnership, the new collection celebrates two artisanal brands that draw inspiration from the same start point, the beauty of botanicals. Alesandro paints from real floral bouquets and is most well-known for his elaborate and abstract artworks. His style uses bold, expressive colours and textures that capture the vibrancy of our Summer Garden, Limited Edition collection. We have admired Alesandro’s work for many years and have been looking for a way to work together for a long time, this collection felt the perfect opportunity to showcase his incredible art alongside some evocative and bold new fragrances. Alesandro paints from his studio above his art supplies shop, The Sydney Art Store, which he originally opened in order to give him access to the vast materials he requires to create his explosive works. 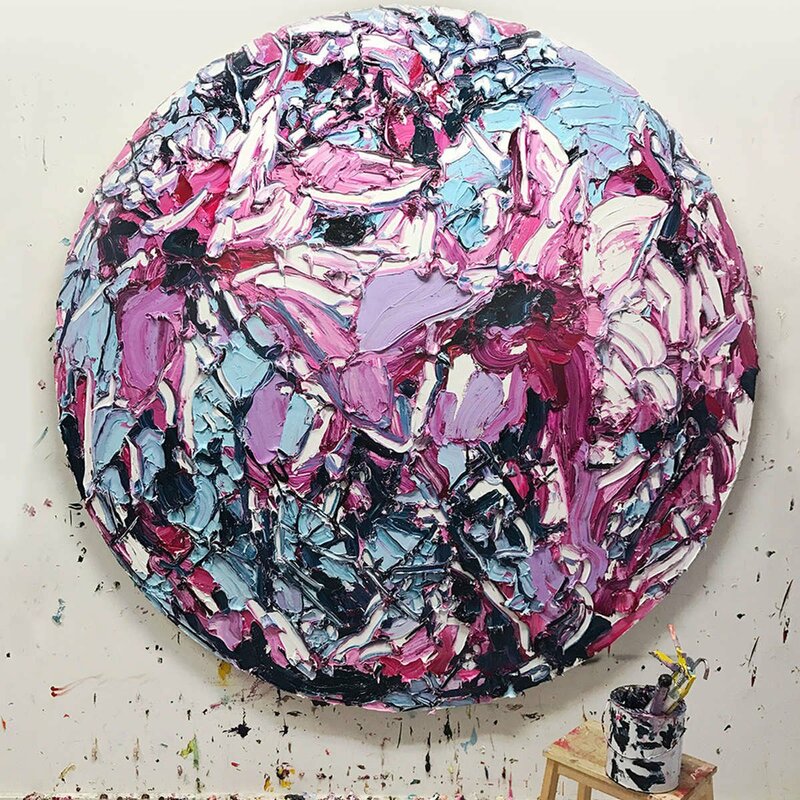 Alesandro’s unique approach to painting involves him applying thick daubs of oil paint with knives and uses upwards of twelve litres of paint per painting. The density of his works means that often they will take three to six months to set. Warm Summer days, blossoming walls of jasmine, ripe orchard fruits falling from their trees and colourful flowers in full bloom are moments captured in our new Summer Garden collection. Inspired by the rich colour and abundant fragrance of these moments, our three new scents are Cassis Berry & Mango, Freesia & Grapefruit and Honey, Lime & Jasmine. Congratulations to Bianca Pizem, the winner of our recent Summer Garden competition!!! Bianca is now the proud owner of an original Alesandro Ljubicic artwork! 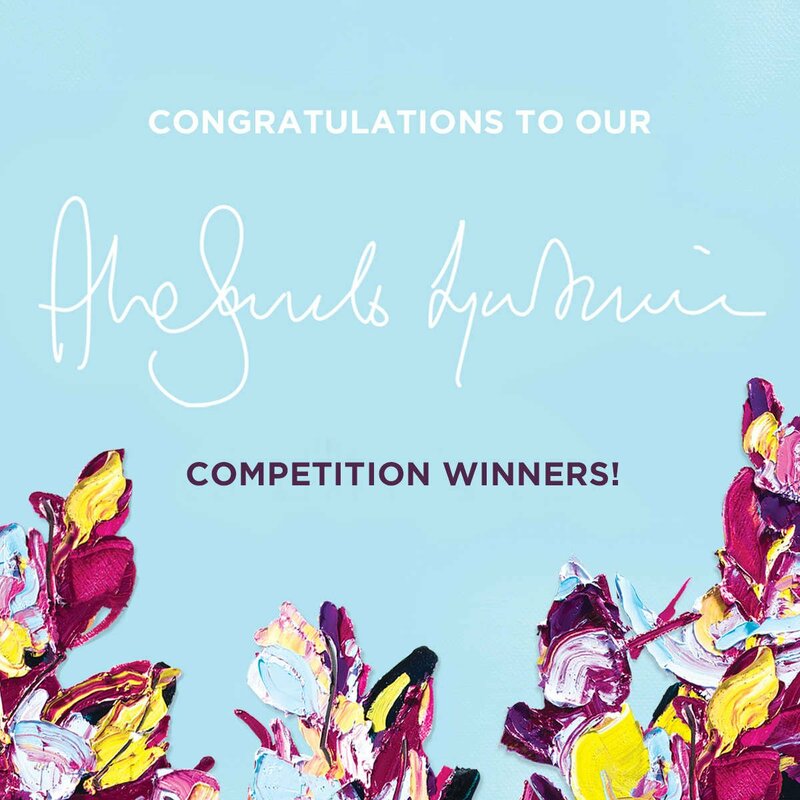 We would also like to congratulate the winners of the Alesandro Ljubicic signed prints! See the full list of names at our competition page.